Savers in the Northern Hemisphere are surely getting ready for cooler weather, and part of that preparation involves having plenty of moisturizer on hand. As temperatures drop and central heating systems get activated, air becomes moisture-deprived indoors and out, drying your skin. If you take a look at the ingredients in a typical moisturizer, though, you’re in for a shock! With few exceptions, most contain toxic, bone-damaging ingredients that you should avoid. The good news is that you can make your own bone-healthy, antioxidant-rich facial moisturizing serums right in your own home. The three serum recipes in today’s post contain nourishing, moisture-rich ingredients that you can use alone or as a hydrating booster underneath your regular moisturizer lotion or cream. And they’re really easy to prepare! Indoor and outdoor air is much less humid in the wintertime than in the summer and spring. Inside, heating systems pull water out of the air, leaving your skin feeling irritated and dehydrated. Outdoors, freezing-cold air and wind can chap exposed skin, and if you live where there’s snow, the glare of sunlight reflected off the snow can cause further damage to your skin. Because of this, applying moisturizers and lotions should become an everyday habit (sometimes multiple times a day). 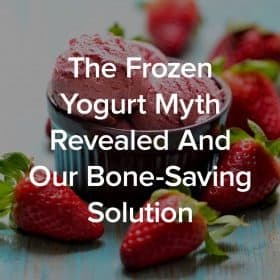 As mentioned earlier, the problem is that many commercial products contain substances that add to your body’s toxic load, thereby hampering your efforts to reverse bone loss and rebuild bone. Here are some of the commonly used ingredients in average moisturizers. This is petroleum jelly, which may contain traces of polycyclic aromatic hydrocarbons (PAHs) if it’s not highly refined by a special process. In addition, petrolatum seals skin and creates an impenetrable barrier. Without being able to “breathe,” skin can succumb to fungal and bacterial infections, not to mention clogged pores. Ironically, petrolatum also seals out moisture from the air, making it less effective as a moisturizer and skin softener. Disodium EDTA is ethylenediaminetetraacetic acid. It is used as a preservative, chelating agent, and viscosity control. Its safety is dubious, but its ability to enhance absorption makes this ingredient a red flag. Disodium EDTA may increase the absorption of harmful chemicals that are also present in the product. This is a pretty broad term, and that’s the problem. A large variety of substances come under this heading, including phthalates, a known endocrine disruptor. This is another preservative, once used in wood primers and other industrial products. It is very toxic if inhaled, and can cause itching and irritation of the skin. These are just a few of the ingredients you’ll find in an average bottle of lotion, which your body will then treat as though they’re toxins, taxing your liver and your kidneys. Of course, the ingredients used in today’s recipes are natural and bone-friendly! It’s best to store these formulas in a dark glass container, and to use a dropper to apply on your face. This gentle moisturizer combines the antioxidant properties of green tea with various bone-healthy, natural oils. This recipe makes about ¼ cup. A well-known antioxidant, certain constituents in green tea have osteoblast-boosting properties. It is also anti-inflammatory and anti-bacterial, and contains bone-healthy polyphenols. One of these polyphenols, epigallocatechin-3-gallate (EGCG), renews DNA synthesis in keratinocytes, which are skin cells predominant in the skin’s outer layer.1 This means that green tea rejuvenates skin, making it an excellent base for this moisturizer. This is another oil made from a bone-nourishing Foundation Food. Avocados are rich in Vitamin E and healthful fats, and the oil is chock-full of antioxidants that soothe burned or irritated skin. Avocado oil is a natural humectant, which means it bonds with water molecules to hold moisture close to your skin. I love the smell of lavender! It has antiseptic properties that account in large part for its ability to promote healing. It reduces inflammation and cleanses cuts, scrapes, and acne. Because it induces relaxation and calmness, lavender is often used by herbalists to soothe tension headaches. Applying this moisturizer to your face – especially your temples and forehead – can help relieve or prevent headaches. This marks another use for rosemary in bone health, because a positive mood is excellent for bones. Here’s the method for making this healthful serum. Place the oils in a small glass jar and heat gently in a pan of water. When the oils are very warm, like hot bathwater, stir in the green tea. Take the jar out of the water and allow it to cool. Steep this mixture for 24 hours (or longer). Strain the oil through a coffee filter – allow it to drip through for several hours. Stir the essential oils into the strained oil and pour the finished product into a dark glass container. This will keep for several months at room temperature; the antioxidant properties of the essential oils preserve the serum well. Apply a few drops to clean skin. This recipe makes about ¼ cup of serum. It smells like fresh oranges. I’m quite sure just about every Saver will have this on hand. Distilled water is the purest form of water available, and it’s recommended in the Osteoporosis Reversal Program as the predominant beverage for bone health. It’s also perfect for use on your skin. The moisturizing benefits of vegetable glycerin are well known. It’s a clear, viscous liquid made by hydrolyzing plant oils. This involves a combination of pressure, water, and a high enough temperature to break the molecular bonds of the oils, forcing them to mingle with the water. The resulting substance is then distilled and purified, producing a clear, odorless, humectant liquid. An additional benefit of vegetable glycerine in this recipe is its ability to increase ingredient absorption. You can use any type of Vitamin C to make this serum, but if you’d like to go the extra mile, I suggest you get camu-camu powder, made from dried, ground camu-camu berries. Vitamin C, a Foundation Supplement, is essential for the health and integrity of connective tissue and skin, and camu-camu is naturally rich in Vitamin C. Plus it also contains the powerful antioxidants lutein, beta-carotene and zeaxanthin. Vitamin C, including camu-camu, is available in capsules and powder. If you use capsules, simply open them up and add the powder to your serum. While it doesn’t contain much Vitamin C (essential oils are manufactured using steam distillation and heat, which do not preserve the Vitamin C present in the source), orange essential oil is anti-inflammatory, antiseptic, and lifts your mood. In a small bowl, stir the Vitamin C powder together with the distilled water until the it is (mostly) dissolved. Stir in the glycerin and pour the mixture into a dark glass bottle or small jar. This will keep for at least a month, and even longer in the refrigerator. Shake before using. To use, spread a few drops over clean skin. This serum contains the powerful antioxidant Vitamin E. This recipe will yield about 2 tablespoons of serum. Jojoba oil is known for its similarities with human body oils. This waxy, golden oil is produced from the seeds of the Jojoba shrub, and it’s been used by Native Americans as a healing balm for centuries. It absorbs easily into skin, so it doesn’t leave behind an oily film. You can pierce Vitamin E capsules with a pin and squeeze the oil out for use in this recipe. This vitamin is fat soluble, so it can readily pass across cell membranes to stave off free radical damage. Vitamin E also helps to repair cell membranes and enhances healing. While alpha tocopherol is the most common form found in supplements, it’s best to use a mixed tocopherol formula. You may recognize the first two essential oils from the gifts of the magi recounted in the biblical Christmas story. Frankincense and myrrh are often used and referred to together, but they are different substances. Frankincense has a bright, piney scent that is quite complex. It is actually a resin made by various species of Boswellia trees, which is collected, dried, and steamed to produce frankincense essential oil. It is strongly antimicrobial, which accounts in part for its ancient use in anointing bodies in preparation for burial. Ancient Egyptians used this oil to make facial masks that were said to rejuvenate and enliven the skin. Given its anti-bacterial characteristics, frankincense is an excellent choice for acne-prone skin. Myrrh is also a fragrant resin, but it is collected from Commiphora trees. Its scent is entirely different from frankincense – myrrh has a musky, earthy scent. Myrrh is also a very ancient oil, having been used for skin care in the Middle East for millennia. In a dark glass bottle or jar, place the jojoba oil and Vitamin E. Drop in the essential oils and stir or gently shake to combine. Apply this serum as the other ones, just a few drops spread over freshly-washed skin. 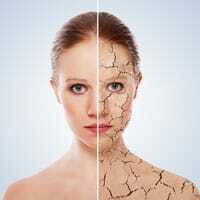 Many Savers have sent me e-mails over the years, asking about a bone-healthy way to combat dry skin. 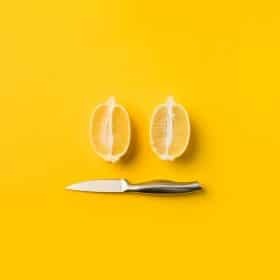 I love these do-it-yourself options because they contain healing, bone-nourishing ingredients that augment your detoxification efforts. Removing as many toxins as possible from your environment and your body is an important step in growing and rejuvenating youthful bone. 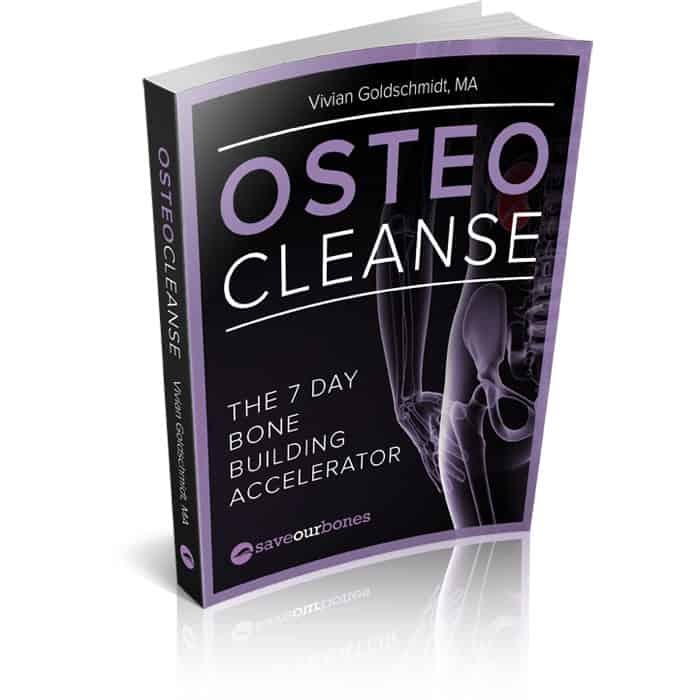 If you’re already detoxing with OsteoCleanse™, The 7 Day Bone Building Accelerator, make sure you ditch toxic, commercial beauty products. After all, what’s the point of a food-based cleanse if you’re still applying toxic substances to your skin that get absorbed into your bloodstream? Healing, nourishing moisturizers boost the cleansing power of OsteoCleanse™ and leave your skin feeling smoother and younger – the perfect complement to younger, stronger bones and increased energy, which are both benefits of OsteoCleanse™. Where can I get the essentials oils . Please! You give 3 different recepies for moisturisers. Does it mean to use the 3 everyday? What about brown spots I am 66 years old and I do have brown spots more on my cheeks and now I can see some around my neck too. Any suggestions? Can you recommend any moisturizers for sale that you don’t have to create yourself with all of these oils for those of us that don’t have the time to create our own? I just love it! I’m going to make them as soon as I get the oils needed! Thanks so much! I mix unrefined coconut oil with camu camu. About 1 TBLSP of the oil and a quarter TSP of the camu. I apply at night….works really well. I also mix coconut oil in my palm with some aloe vera gel and use it as a body moisturizer. Great right out of the shower. Absorbs very well. I also make a toothpaste of 1 TBLSP of coconut oil with 1 TBLSP of baking soda (aluminum free) and a quarter TSP of real sea salt. Mix it well and use it instead of fluoride containing toothpaste! You are really sweet and helpfull! What about using just vitamin e drops alone? Vitamin E oil can be pretty heavy on its own; it’s best diluted with other oils. I have been using organic coconut oil as a moisturizer. It absorbs into my skin and feels really good. Yes, coconut oil is very versatile in and of itself! Now we have moisturizers, what about recipes for make ups especially foundations? Good idea, TJ – foundation makeup can certainly contain toxins, depending on the brand, of course. love those seruns. thank you so much. thank you for the serum recepit. love . making rigth now. thank you. Let us know how it works for you, Tania! Sorry about my first comment…you did tell us what not to look for…thanks! # 2 contains some distilled water, but the other two are basically various oils. My understanding of ‘moisture’ is containing water, so I don’t see how these can be called moisturisers. I see this often, but it seems incorrect. One of the ways these ingredients “moisturize” is by preventing evaporation of water from the skin. 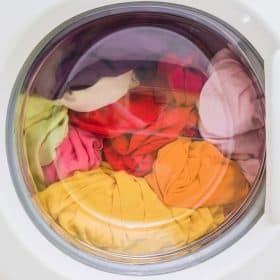 So if you apply them to freshly-washed skin that’s moist from the water you used to wash, it will help prevent the dry air from drawing water away from your skin. 🙂 In addition, oils mimic your body’s natural moisturizer, which is oily.